At Bungie’s studio in Bellevue, Washington, they have the new logo for the franchise with the words “Be Brave” inscribed next to it. I’m not sure if this is a message to players that they will need to be brave when exploring the new game of if they are reassuring words for the developers as they embark on a new direction as an independent company. It’s hard to not feel like Bungie is taking a bold step in a new direction as they could have played it safe and cranked out Halo game after Halo game and raked in money hand over fist. Instead they handed the Halo franchise over to Microsoft and 343 Studios and are now working on one of the most ambitious projects in video game history. The new franchise is called Destiny and last week Activision and Bungie flew me and a gaggle of other game journalists out to their studio to provide us with a high-level overview of what they are doing with their new franchise. By high level I mean that we were not shown any real gameplay footage, not provided any details about what playing the game would actually entail, and given no information on release dates or platforms. Instead the presentation was about revealing the big pillars that Destiny is being built around. Destiny isn’t one game--it’s a franchise of games that Bungie likens to a series of ten books that will be released over the next decade or so. Each book will have it’s own story to tell and and will tie into a larger overarching story. Think Harry Potter but with guns and robots. My interpretation of this is that they are going after both the core gaming market who knows the company via the Halo games as well as more casual gamers who will only be engaged with the game for a few hours a week. 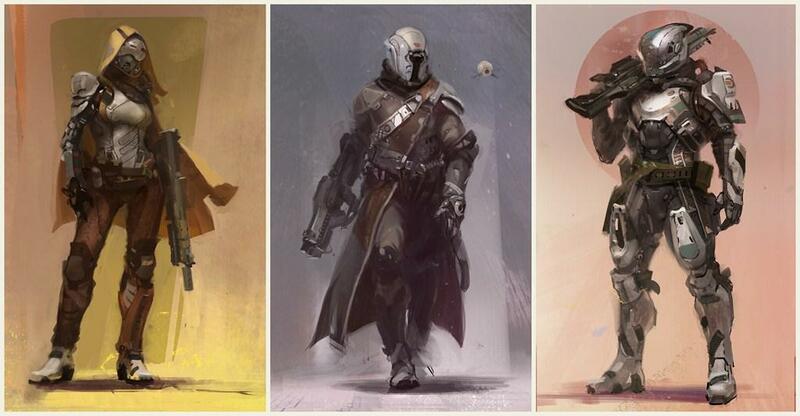 Destiny will be a console first-person shooter set 700 years in the future. Mankind has gone spaceward and has achieved a new golden age. 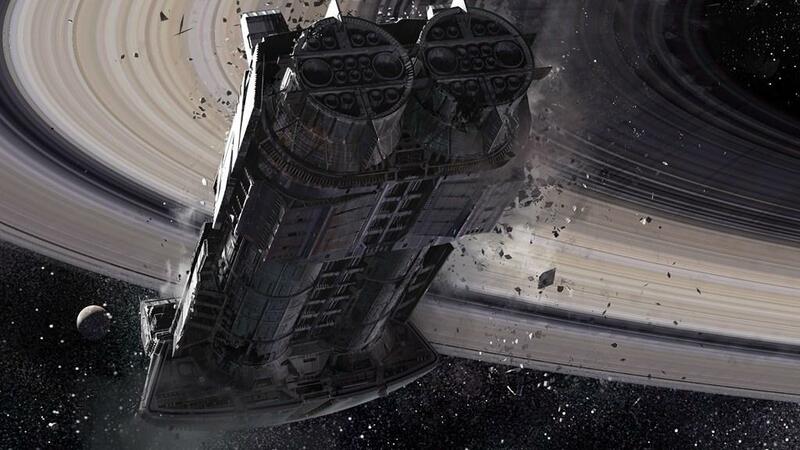 Unfortunately an alien force has come to Earth, laid waste to most of the planet, and wiped out most of humanity. 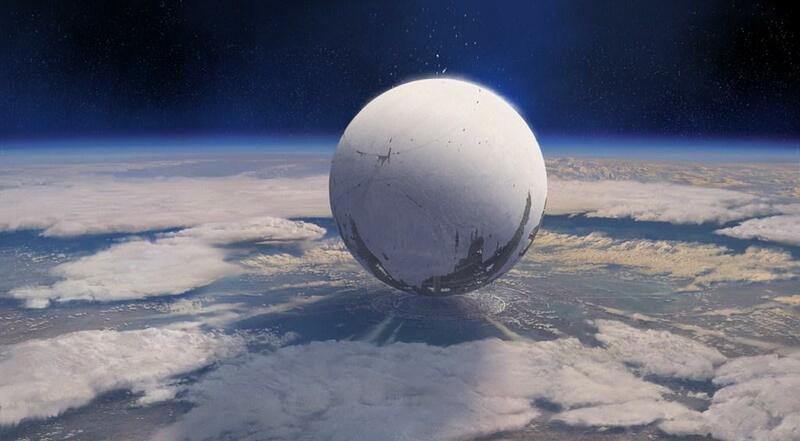 Humanity is saved at the last minute by “The Traveler,” a giant white orb that sacrifices itself during the final battle, leaving a giant white orb hovering a few hundred feet off the surface of the planet. It’s under the Traveler that Humanity regroups and begins to rebuild itself. The Traveler also provides humanity with certain abilities that resemble magic. We weren’t given a lot of details here but it looks like you will have more than the usual array of weapons at your disposal. 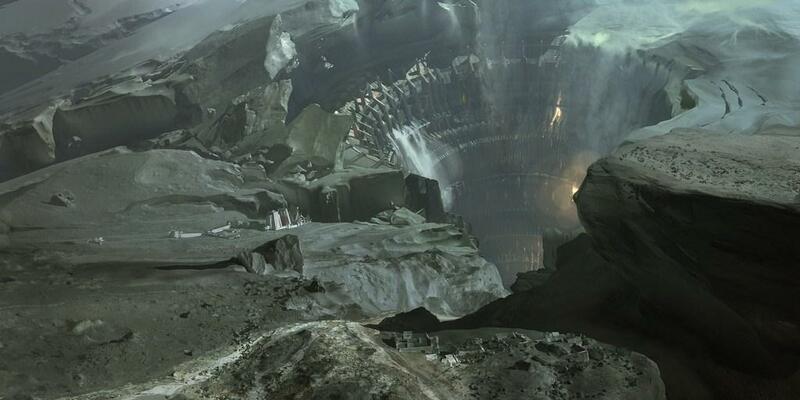 Bungie is calling their story “mythic sci-fi” in that they are crafting a huge backdrop for the game to exist in and to craft stories from. While they didn’t provide specifics it feels like there is a ton of writing behind almost everything in the game and that there will be an almost Tolkien-like level of detail in the world. 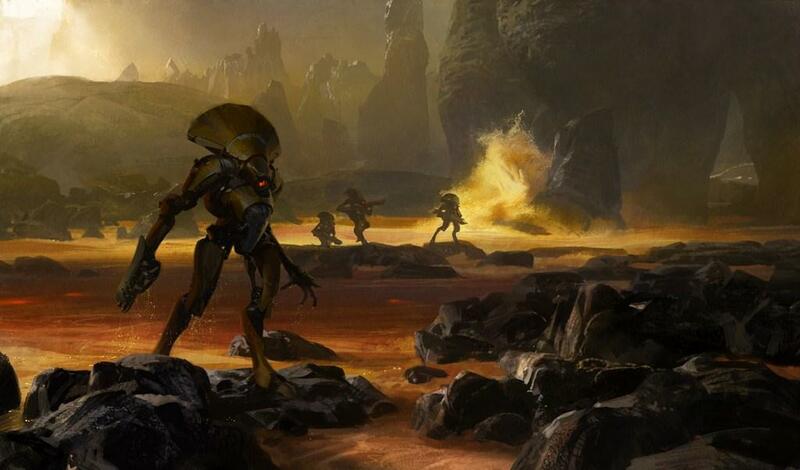 In the game you will play a guardian, a protector of the Last City on Earth under the traveler and humanity. It’s up to you to keep the City safe from attack and reestablish humanity’s place in the universe. Along the way you’ll meet new characters, make new friends, and hopefully help humanity thrive. The game will largely be set on Earth and it’s solar system as we were shown some concept art from levels on Mars, Venus, and the Earth’s moon. 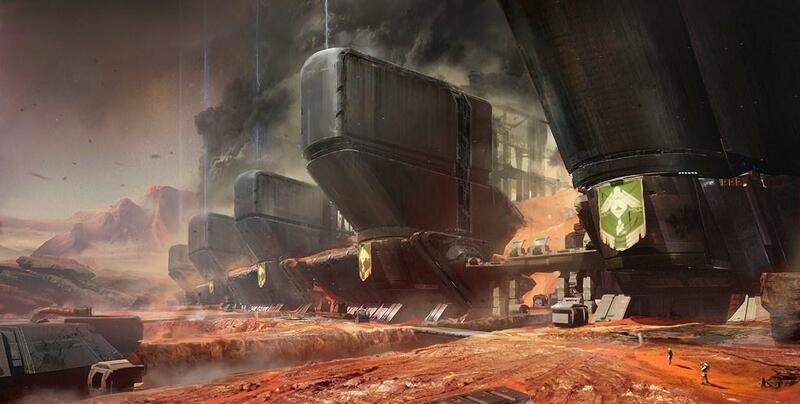 Bungie was coy with a lot of the details around what players will actually do in the game other than they will be doing a lot of shooting aliens, exploring worlds, and interacting with other players in the game. The game will be highly social and will encourage players to team up and work together to get through the game. In addition to the co-op gameplay there will be some form of competitive multiplayer which will allow players to earn higher-end equipment which can be used in the campaign portion. They are making the game single-player friendly so if you want to go it alone you will be able to do so in peace without having to interact directly with the other players. You will see the other players in the game and check out what they are doing but Bungie isn’t going to force you to team up. This feels a bit like what Visceral Games did with the co-op sections of Dead Space 3 in that there will be areas that have puzzles designed around multiple people but will still have gates for those that want to go it alone. 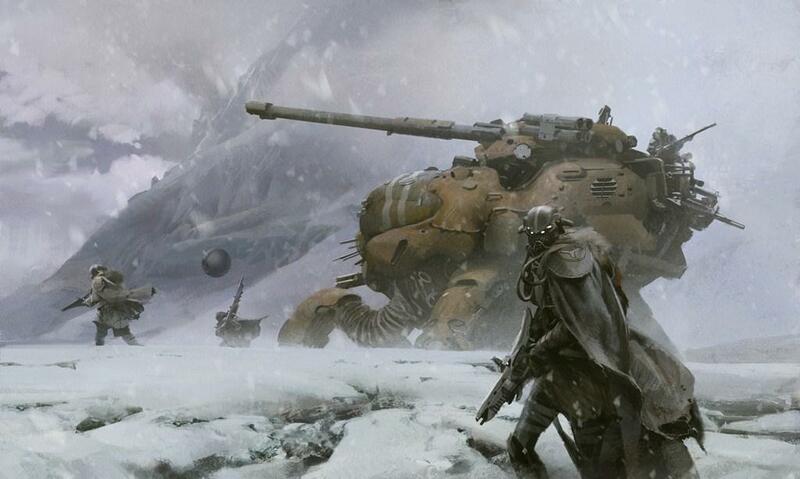 The game is intended though to be highly social and Bungie considers that the best stories are told by “players together through shared adventures.” Not only will you be able to play with friends but the matchmaking system will always be working behind the scenes to help introduce you to players at your same level and in the same area of the game. To put it in MMO terms it feels like the game will dynamically move you through privately instanced areas and publicly instanced areas based on the population around you. The example they provided was having two players fighting together and once they reached a hub area other players could see them and potentially join in the fight. Players will have a choice of classes as well. Bungie revealed the Titan (heavy soldier), Warlock (magic user), and Hunter (ranger/ranged attack class). Each of these classes will have the usual benefits and types of situations they work best for. No specifics were given on the differences between the classes. You will be able to pick up rare/named weapons like “Fate of Fools” and “Super Good Advice” which helps add to the mythos of the game. We were shown a few of the enemies in the game including the Vex (time-traveling robots), The Fallen (space zombies), and the Kabal (think rhinos in armor). Each set of enemies looked good but we weren’t given a lot of detail on motivation or backstory, and we didn't get to see them in action. The assembled press was also treated to snippets of Marty O'Donnell and Michael Salvatori’s soundtrack for the game which was excellent. They also revealed that Sir Paul McCartney has contributed to the game. Ending on a musical note, Destiny feels a bit like when your favorite new band evolves their sound over time. It’s the same band and the music is familiar but the tune and composition are different. 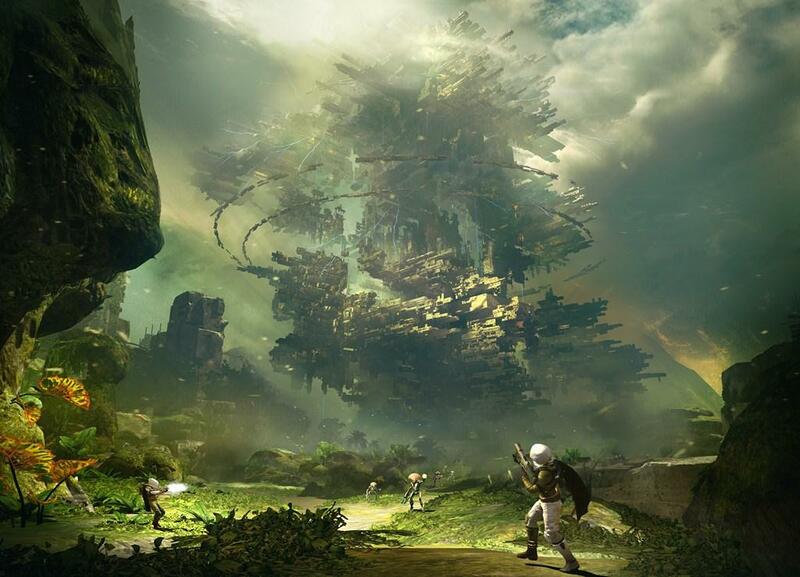 Destiny feels like Bungie is pulling us into their vision of next generation gaming. Of course the real question will be: how much of what was promised today will be delivered when the game ships? As timelines creep up, it's common for features to drop off so that a developer can get a product out the door (look at the ending of Halo 2). 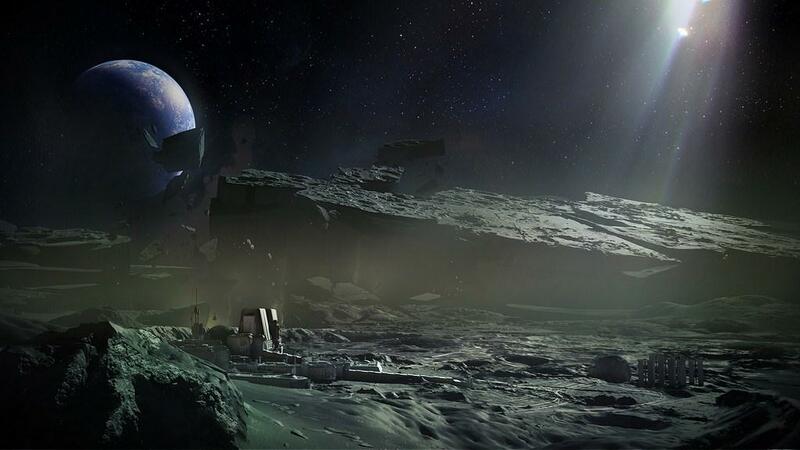 Hopefully Activision gives Bungie the space and time to deliver on their entire vision as there’s a chance for them to break some new ground in the industry with Destiny. Activision/Bungie paid for airfare, one nights hotel stay, transportation to/from the hotel, and food for this trip.